We all know them when we hear them, but what makes a wrong note wrong? If you're in a private place (or a public place -- I'm not going to tell you how to live), try this simple experiment. Sing a note -- any note. Was this note right or wrong? A note, or combination of notes (chord) is only 'right' or 'wrong' in the context of the notes and chords around it. Therefore, it's not the exact pitch of a note that matters, but rather the relationship between the note and the rest of the pitch class space in which it appears. I wanted to find a way to represent these relationships between chords in a way that would be convenient and transparent for musicians and songwriters. 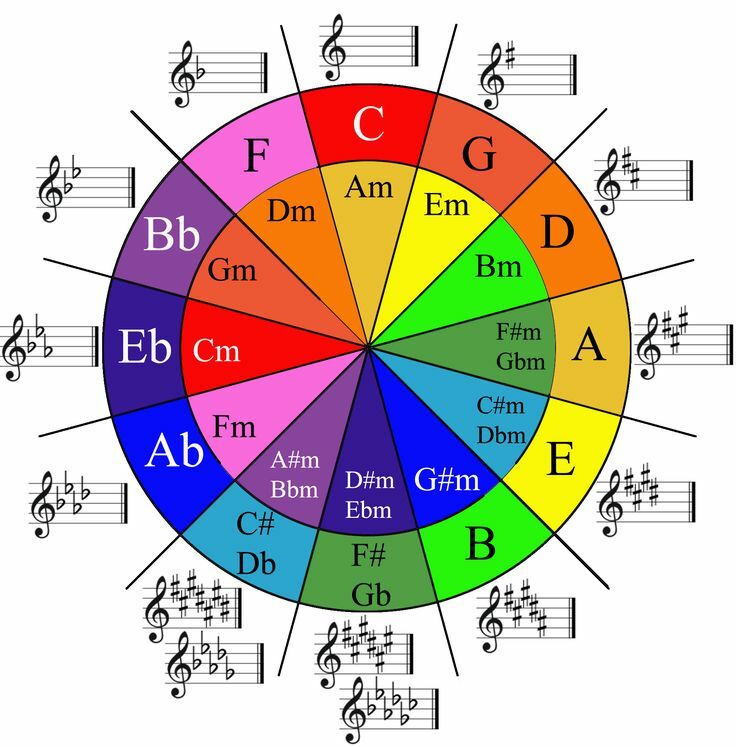 The result is this lazily-named Magic Chord Helper app, which uses a musical concept called the Circle of Fifths to suggest additional chords based on the chords that already appear in a song. For example, the key of A can be represented like this: [ 1, 0, 2, 0, 2, 1, 0, 1, 0, 2, 0, 3 ]. Here's how we read this array. At index 0 (the first element), we find the value 1, which means that the key of A contains the chord A major. Continuing, we see that the second value, representing B flat, is 0, therefore, no B flat chords are in the key of A. At index 2, we find the value 2, meaning that the key of A includes the B minor chord, etc. By calculating which row most strongly corresponds to the selected chords, we can predict the key and, subsequently, additional chords that will sounds 'right' within the predicted pitch class space. No distinction is made for major keys vs minor keys since this calculation is unconcerned with determining the root note; instead, it simply evaluates the pitch class space taken as a whole, regardless of the mode. Coders: check out the source code! Seems like a good idea all around. This benefits police officers, who will now have concrete evidence to defend themselves from false allegations. It also benefits members of the community who will feel confident that their rights will be respected during interactions with law enforcement.